In a surreal act of celebrity role-playing, Riff Raff’s new music video for ‘Only in America’ features James Franco… as Riff Raff. 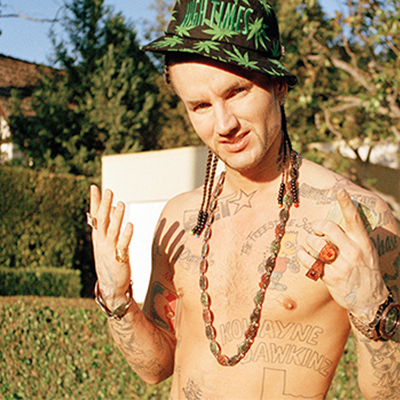 Franco played a Riff Raff-inspired character in the 2012 film ‘Spring Breakers’, which wasn’t received well by ol’ mate Jody Highroller, but now he’s taken it to new heights by replacing Riff Raff altogether. 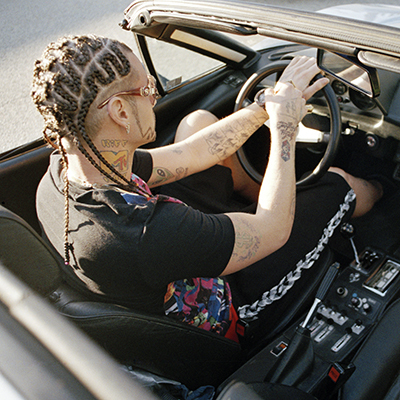 The video features Franco sporting All-American sunglasses, grills, gold chains and a pastel hair look as he grinds against multiple bikini clad girls while chanting ‘Only Americans eat duck sauce’. Snapchat sequences are laced throughout, with its recognisable filters and text format. ‘Only in America’ is America in all its whirlwind excess and toxic obsession with celebrity, social media, and selfie culture. In a political era where reality TV stars clamber the heights to presidential power, it’s a hilarious yet dark reminder of America in all its outrageous capabilities.